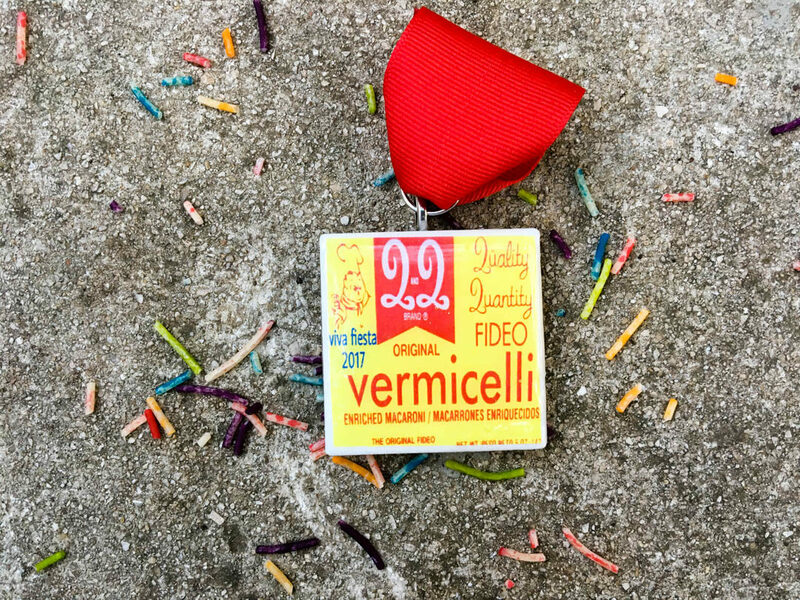 Roxanne Quintero—creater of the Gorda Fabulosa medal—made a homemade medal of Vermicelli Fideo and it has been a big hit. 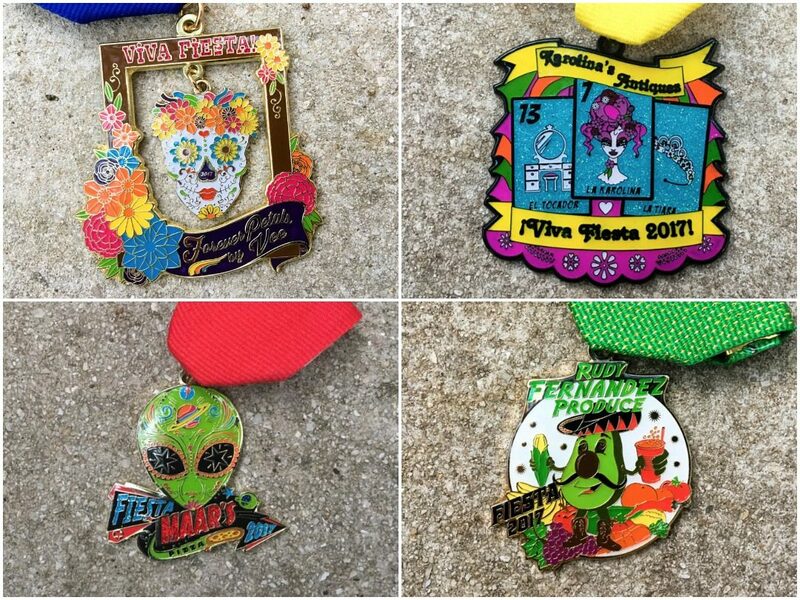 Super Medal Maniacs and big SA Flavor supporters Roy and Liz Saenz have created the Fiesta Chingadera Fiesta Medal that combines everything Fiesta! Before we get to the individual voting, the top spot is automatic. 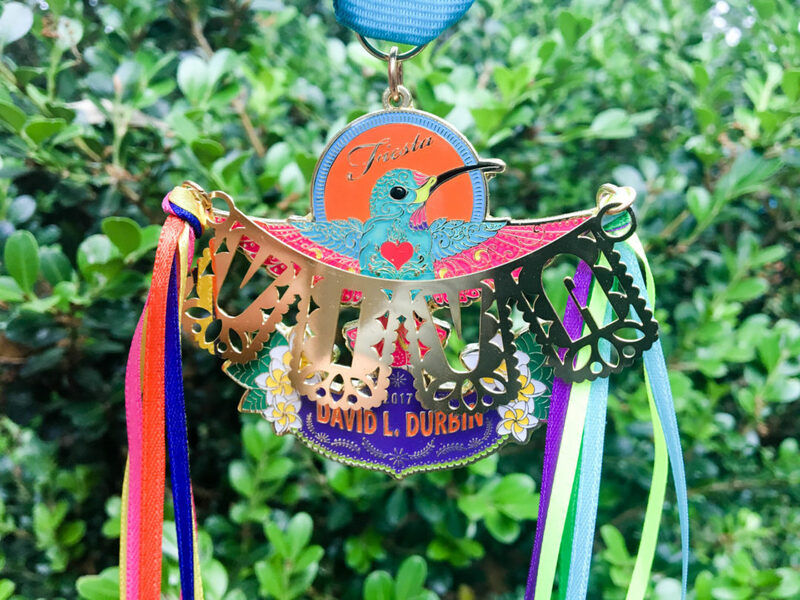 It’s going to the Maestro of Medals, Mr. David Durbin’s Hummingbird Fiesta Medal! 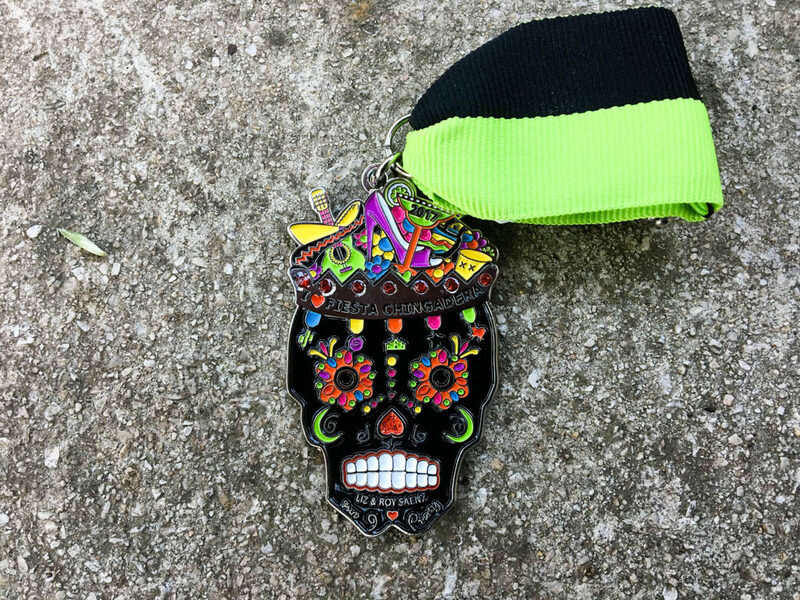 2017 was the year of kitsch. 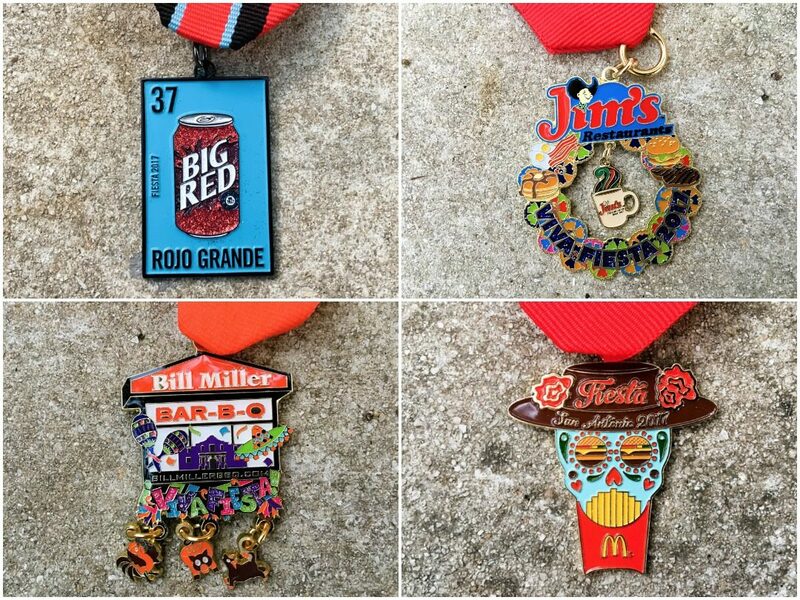 I’ve seen medals like I’ve never seen before—these are the top four Kitschy Fiesta Medals in our SA Flavor contest! 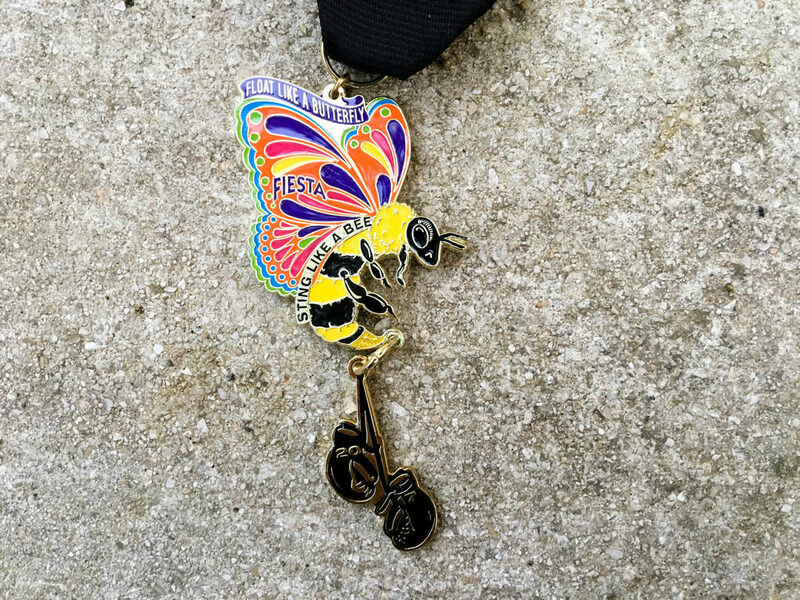 This sold out Muhammad Ali Commemorative Fiesta Medal brings his famous “float like a butterfly, sting like a bee” quote to life. 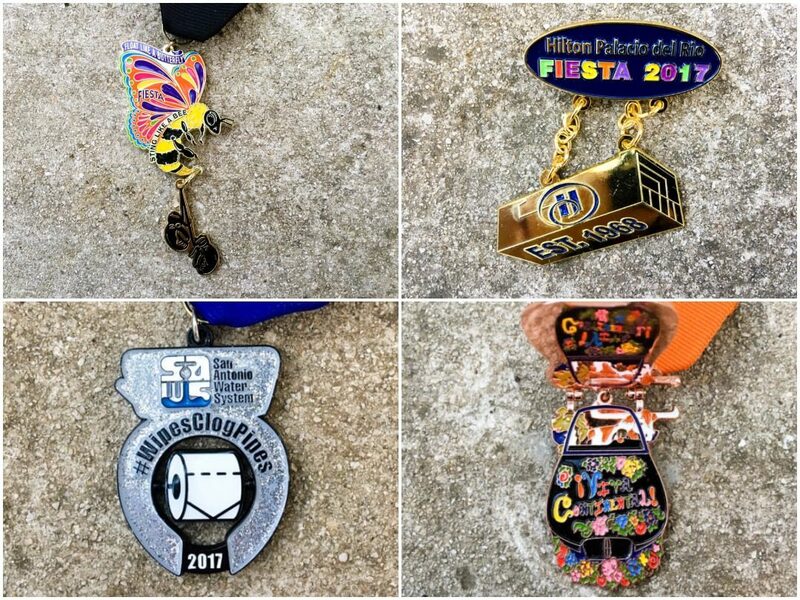 I’m always impressed with large businesses are able to step out of their very rigid corporate structure and create something special—here’s our finalists! 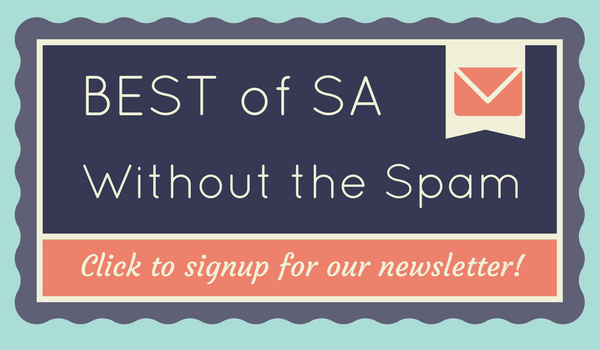 Here are my four favorites from 2017 in the Small Business category, now it’s time for you to vote for your favorite!